Scott Bugg & The Vital Few are a Nottingham based Indie Rock, Rock, Blues band made up by Scott Bugg (Lead vocals/guitar), Brett Calladine (Bass/Vocals), Ashley Groves (Vocals/Percussion), James Smith (Vocals/Harmonica), Rory Black (Keyboards/Percussion), Phil Evison (Drums) and Chris Beecroft (Cajon). The Bugg name having great significance in Nottingham, it only feels right having this well known band take to the stage as our headline. They're back - A four-piece post-punk from Leicester, Anoa has reached new extremes. After the release of an ep and many singles, the band have a headline gig at The Cookie under their belts - and are ready to bring it to Bodega. Members include Alex Harris, Chris Johnston, Mitchell Gordon, Jared Gopal. 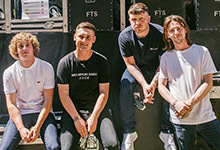 Youth Hotel are a Nottingham based Indie five-piece consisting of the members: vocalist Jack Bratby, drummer Will Rabjohns, rhythm guitarist Ben Thompson, lead guitarist Ben Phair and bassist Nathan Whalley. 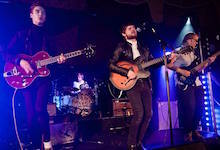 The band formed late summer 2017 and has since written their debut EP ready for recording. Influenced by a eclectic mix of artists spanning across multiple genres, they formed their sound from an amalgamation of each individuals taste. 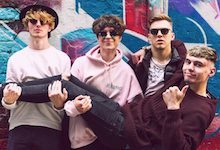 Since their first live appearance in early 2018, they have been meticulously perfecting their sound along with their live performance, and hope to release their first single & EP by early august on all platforms.